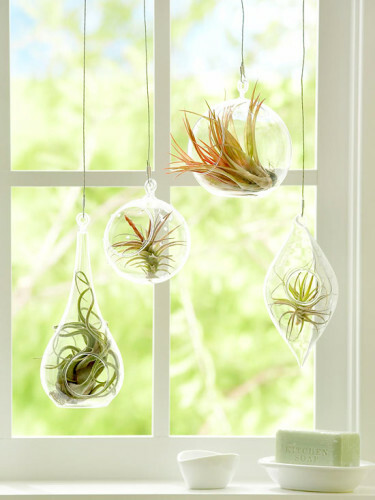 Terrarium is a fancy word for little indoor garden in a glass jar – and p.s. 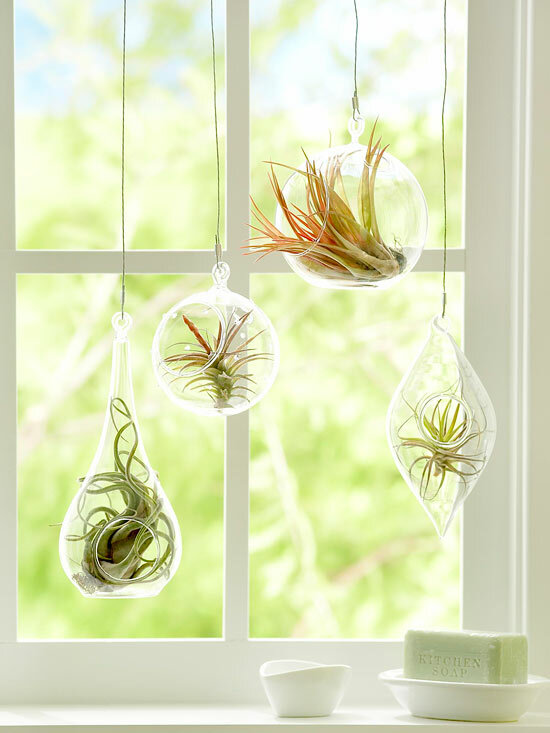 terrariums are all the rage. 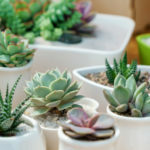 All you need is a can-do attitude to follow simple step by step instructions to turn any glass container and some potting soil into a beautiful miniature garden. So what are the best plants for a terrarium? 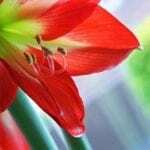 First it is important to know the plants you choose all have the same watering needs. In general, terrarium plants should be petite – you don’t want them to touch the sides of your container. 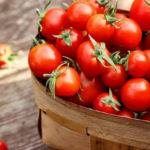 They also need to tolerate humidity and low, indirect light. 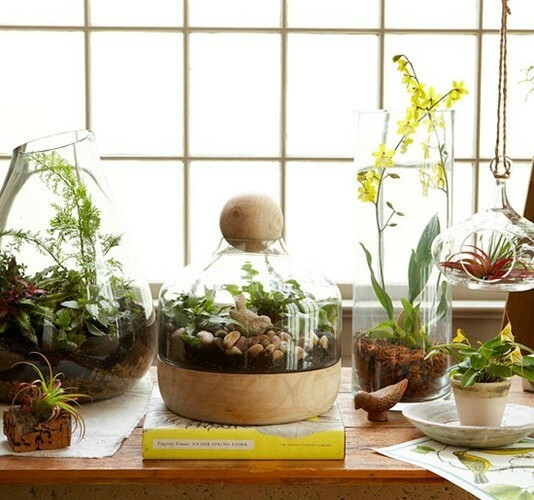 Here are eleven plants to consider when planting your own terrarium. 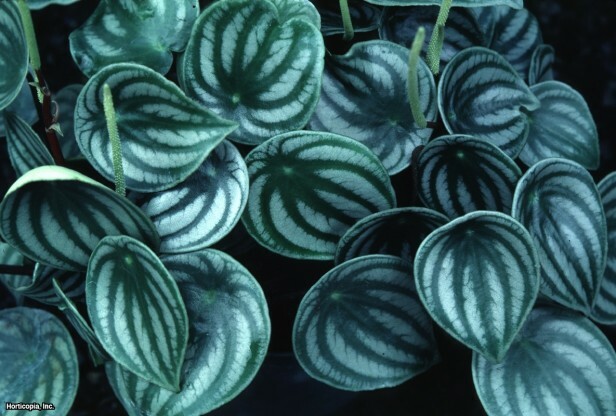 The friendship plant grows to 12 inches tall and has distinct leaves with deep craters. 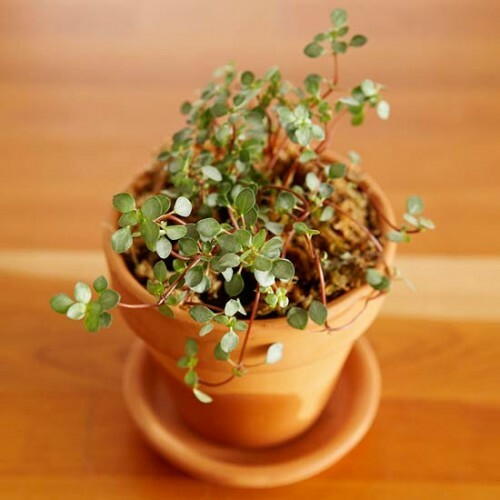 A good choice for terrariums because friendship plants prefer moist soil and full shade to partial sun. 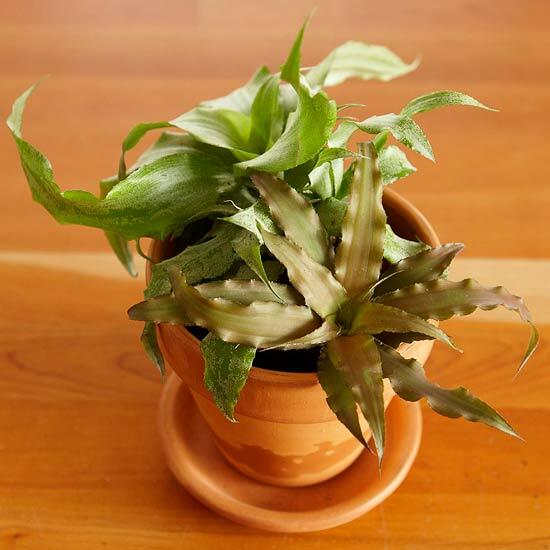 Variegated spider ferns enjoy the moist potting mix and high humidity found inside a terrarium. Its glossy leaves shine behind the glass creating texture and visual interest. 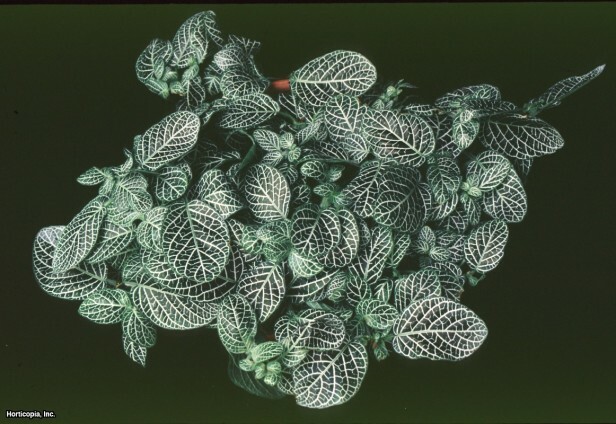 Watermelon peperomia features green and silver variegated leaves, resembling watermelon skin. 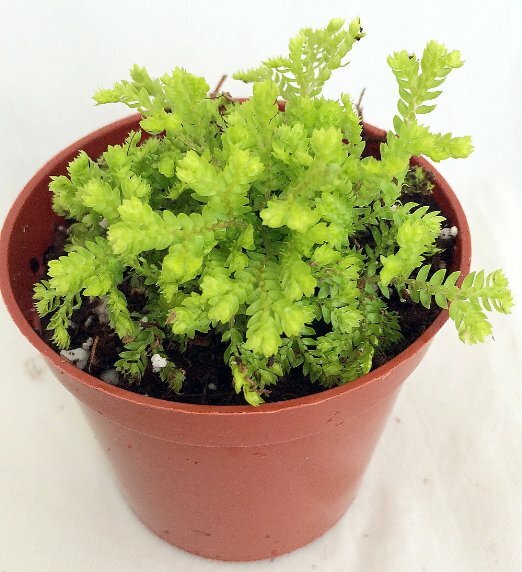 This plant enjoys moist conditions and grows up to 8 inches tall, making it ideal for terrarium life. 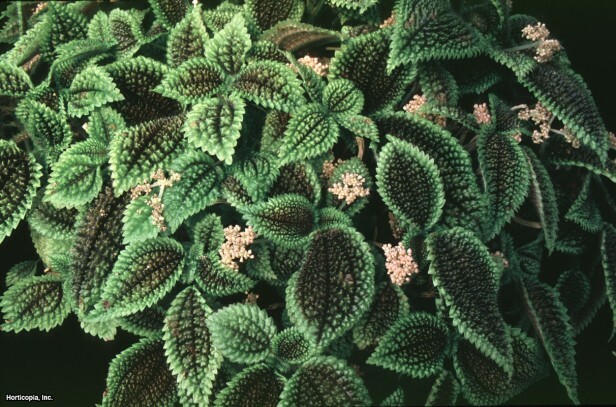 The star-shape starfish plant, has strap-like leaves that change color depending on the light. It’s slow-growing nature — reaching only 6 inches at maturity — makes it well-suited for a terrarium. Aquamarine has delicate rounded leaves and loves high humidity and low light. Use its low-growing, carpeting-nature as a good base for other plants in your terrarium. It stays small — only 12 inches tall — making it easy to tuck into any terrarium. Even though golden clubmoss reaches only 6 inches in height — it likes to spread, so it’s important to keep it trimmed inside a terrarium. 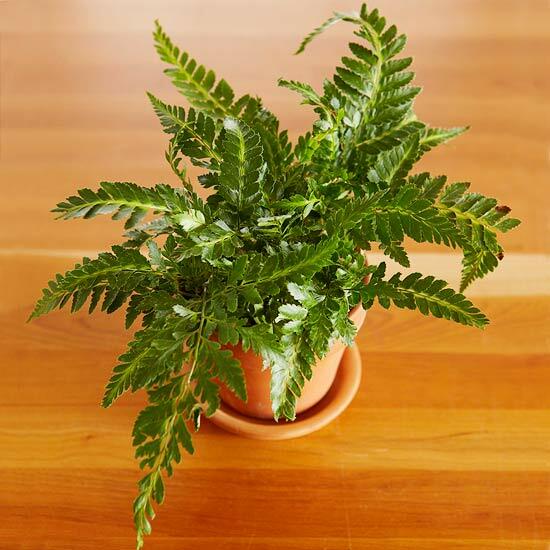 The light green foliage provides a bright pop of color amidst darker-color plants. 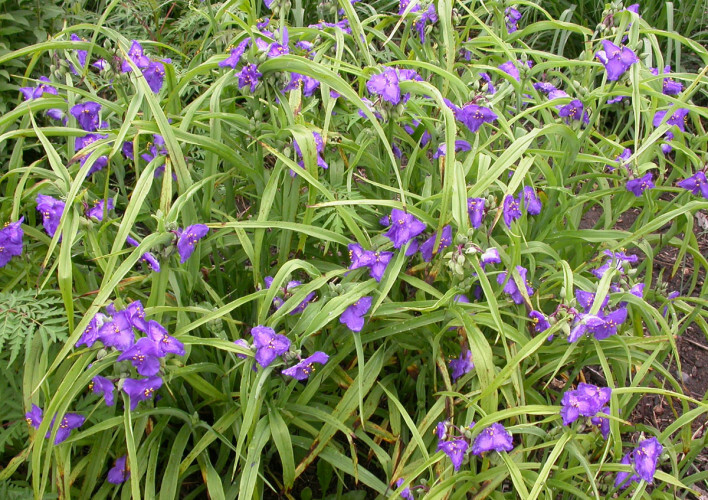 Spiderwort has long stems with spade-like leaves. Once upon a time a spiderwort lasted 53 years in the same jar – given this, I’d say the evidence that spiderwort performs well in bottle terrariums is strong to quite strong. 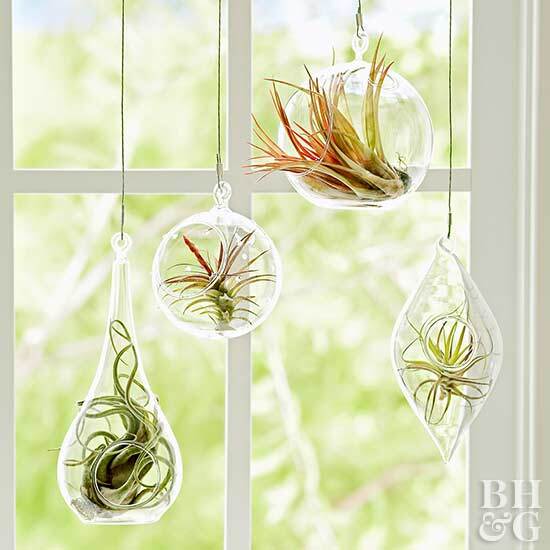 Interested in an air plant terrarium? 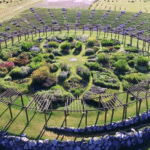 These amazing plants don’t even require soil, they get all of the water and nutrients they need through their specialized leaves. Stunning, funnel-like flowers top slender, pale green leaves, making the plant a different, yet great terrarium choice. 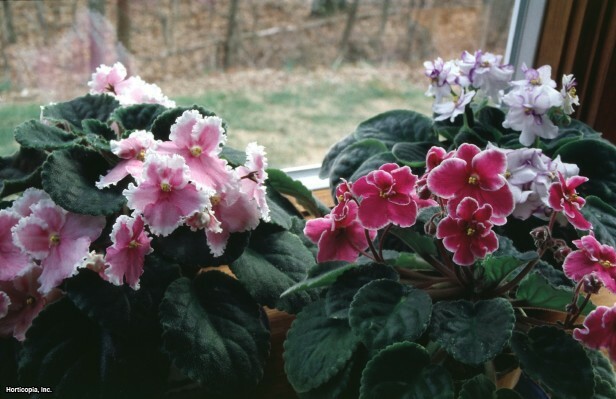 The delicate African violet produces blooms in blue, pink, purple and white. Ideal for terrarium life because it grows from a mere inch to 6 inches tall and likes moist soil. Red vertical stalks and flowers lend this plant the nickname strawberry begonia. 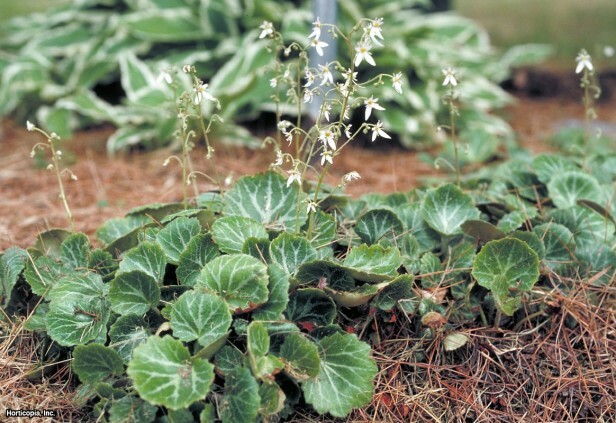 Reaching a max height of 8 inches, this sweet plant offers a pop of color even when the flowers are not in bloom.